While doing some research this morning, I noticed on Don Baylor‘s Baseball-Reference.com page that he had won the “Edgar Martinez Award” in 1985 and 1986. I found this interesting, since Martinez did not make his big league debut until September 12, 1987. What Baylor actually won in 1985 and 1986 was the “Designated Hitter of the Year” Award. It was instituted in 1973 and renamed in 2004 for Martinez, who is considered by many to be the greatest DH of all-time. Martinez appears on the BBWAA Hall of Fame ballot for the sixth time this year. Results will be announced in January, but I do not expect him to improve from the 25.2% he received last year. 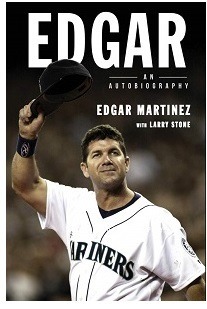 I’m one of those guys who simply does not see the case for Edgar Martinez. He was a very good hitter, but that’s about it. His WAR total definitely puts him in the Hall of Fame conversation, but there is so much more to consider. He failed to reached any of the “magic number” milestones in counting stats, and was never really a dominant player in the eyes of the media. Like many others before him, and many other since, he was a very good player. Hall worthy? Not in my eyes. Today is the day a bunch of guys who believe in the old adage “the pen is mightier than the sword” get to decide who should be immortalized forever in Cooperstown. And today is also the day a bunch of us guys who know better than those guys are going to complain about their decisions. We could do better, and through our obsessive habit of collecting baseball cards or memorizing statistics or however else we may manifest our love for the greatest sport ever invented, we will forever immortalize in our own minds the greats that the BBWAA ignores. The reason that the Murph is at the top of my list is because I believe he is the most glaring omission from the Hall of Fame. No, he didn’t reach the “magic numbers,” but for a time he was one of the best players in baseball. Never the best, but one of the best. There was never a doubt in my mind, and there still isn’t, that Dale Murphy belongs in the Hall of Fame. The same can be said about all the guys on that list except Parker. I would vote for him every time, but I won’t be upset if he never makes it. I will be upset if Murphy doesn’t make it…in fact, I’m upset he’s not in right now. I know that he won’t get the call today, and probably never will from the BBWAA. He will have to wait for the Veteran’s Committee and hope that they do the right thing. But he should be there. Raines is second on the list, even though I believe he is even more deserving than Murphy. He hasn’t been on the ballot as long as Murphy, and that’s why Murphy’s position is higher, but Raines absolutely should have a plaque in Cooperstown. Of the first-timers on the ballot, Larkin and Alomar are the only two that I would vote for, and not just because I only have 10 spots on the ballot. Fred McGriff just doesn’t do it for me. Maybe in a few years I’ll change my mind, but he just misses the mark in my opinion. I like the guy and don’t have anything against him, and won’t throw a fit if he is enshrined, but I won’t vote for him (at least not yet). 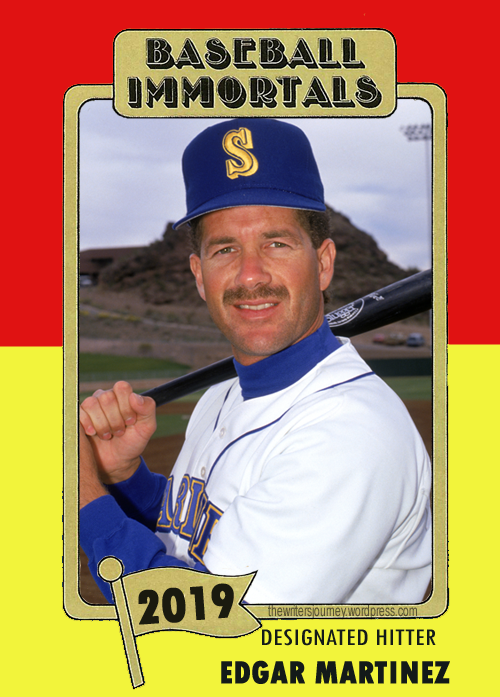 Same goes for Edgar Martinez. It has nothing to do with the DH role that he played…I just never ever ever considered him a Hall of Famer. When I was a kid I had my baseball cards separated into shoeboxes – stars, rookies, Hall of Famers, future Hall of Famers, and commons. Some of the guys I had in my FHOF shoebox shouldn’t have been there (Tommy John, Steve Garvey), but if they were even a borderline candidate, that’s where they went. McGriff was never in that box, and neither was Edgar. Nor was Galarraga, and it blows my mind that some people are thinking about voting for him. And Kevin Appier? Are you kidding me? Who is on your make-believe ballot?